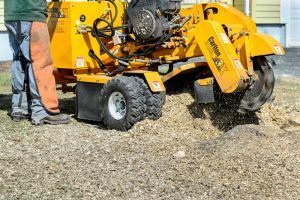 There are numerous features that you should look for in stump grinder teeth, especially if you are going for a replacement. For most people, what they look out for is the quality of the teeth and more so the material that has been used for the construction. Although these features are important, there are low key features that are critical to the operation of the machine. Among these key features is the compatibility of stump grinder teeth. One of the biggest benefit compatibility features of stump grinder teeth is the reduced cost of operation. Buying replacement teeth are one of the main causes of the high cost of operation. There is also an issue of downtime which also plays a significant role in increasing the cost of operation. With compatible teeth, you can easily fix any stump grinder with these teeth. You don’t need to go to the market for new teeth since one set can be used for a number of machines/brands. This saves you a lot of money. Most of the stump grinder teeth that are designed with compatibility features are usually the produced by the aftermarket manufacturers. There are numerous benefits that come with this kind of teeth, and one of them is availability. You will find most of these at the dealer or stores near you. Therefore, you will not need to ship them from overseas suppliers where you wait for days. That will be a big plus for you, and it will help in reducing the costly and unnecessary downtimes. Versatility in the application is another advantage that comes with stump grinder teeth with compatibility features. These kinds of teeth are designed to provide extreme versatility on various conditions. Whether you are working on hard stumps or soft woods, these are the kind of teeth that will affect excellent performance and productivity. That means that you will not need to invest in a huge collection of stump grinder teeth since you can use just one set of teeth for almost all your needs. These stump grinder teeth are constructed from the highest grade materials. They are carbide tipped while the body is made from high-quality steel. That quality is to ensure versatility benefits and less wear and tear of the teeth. Therefore, you will not have a problem with teeth performance and productivity.